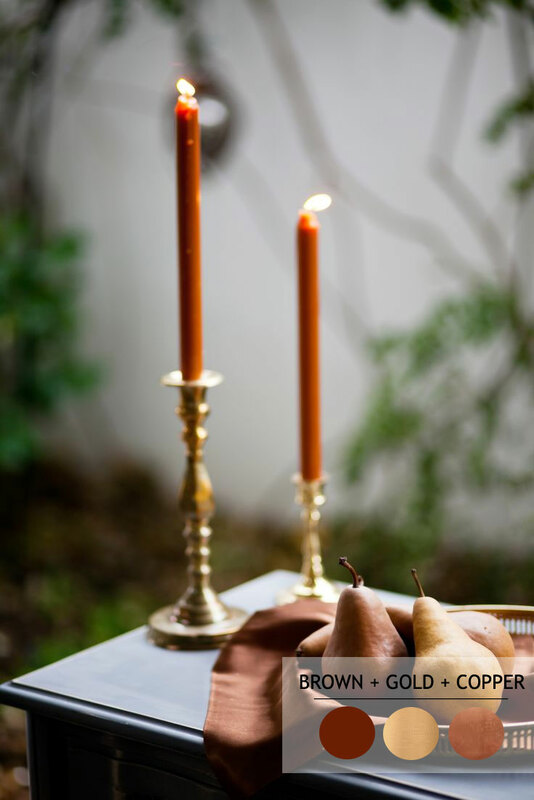 Autumn is one of the most beautiful seasons. 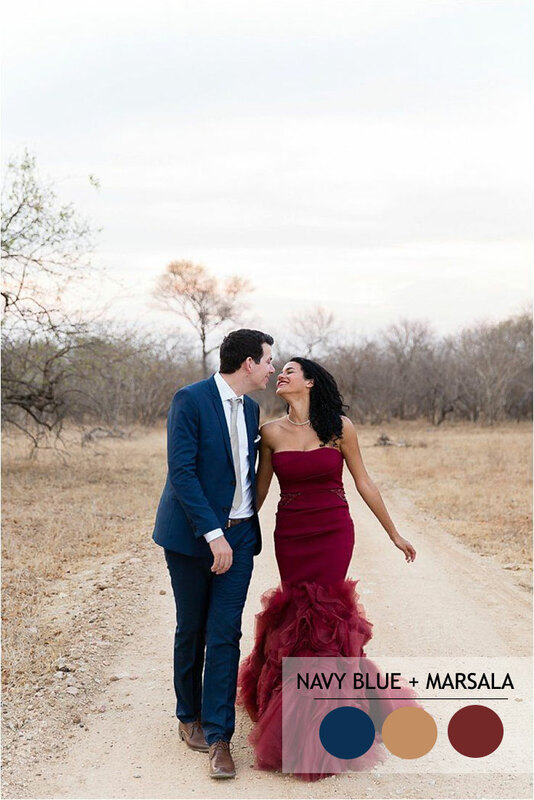 The rich colours of nature and cooler temperatures make it one of most ideal times to host a wedding. 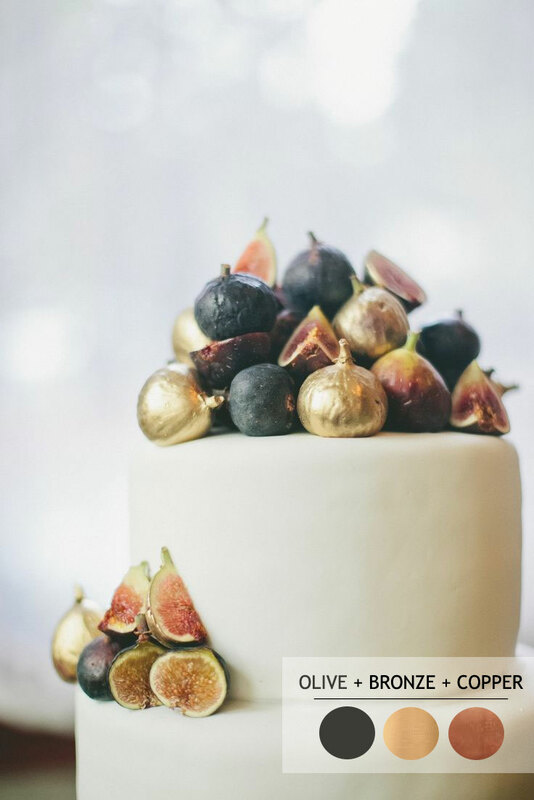 Autumn is a season for bountiful harvests, and the colours that come with it are indicative of that. 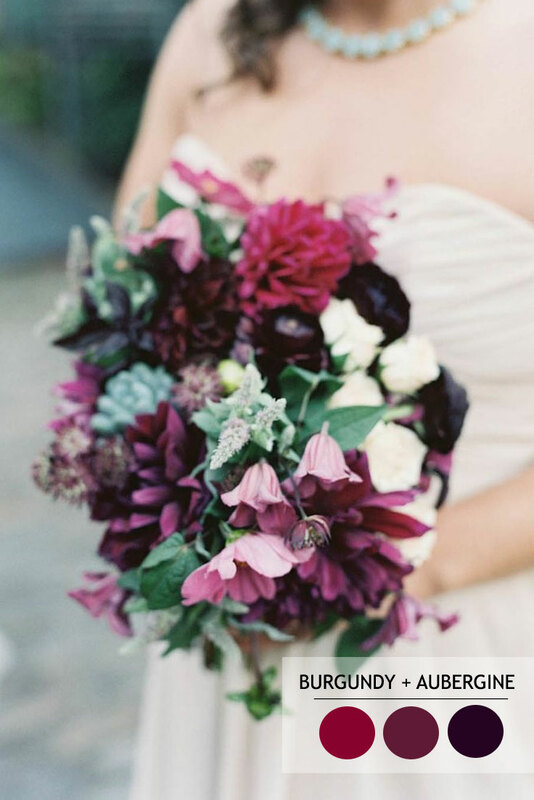 Colour combinations do affect the atmosphere of your wedding. 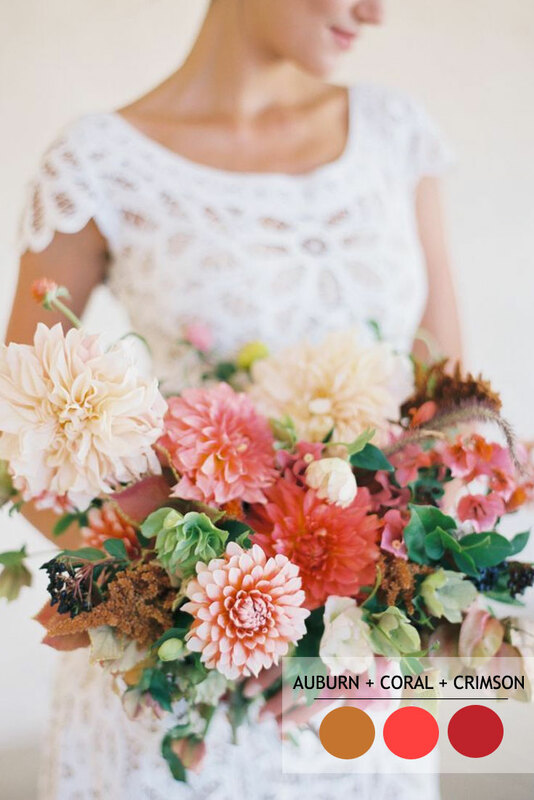 Here are some beautiful colour combinations for your wedding that are sure to enhance the fall season. 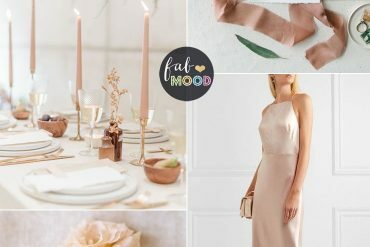 The feeling of autumn is one of richness and coziness, Warm metallics like gold, copper, and bronze are ideal colours to add elegance to your wedding. 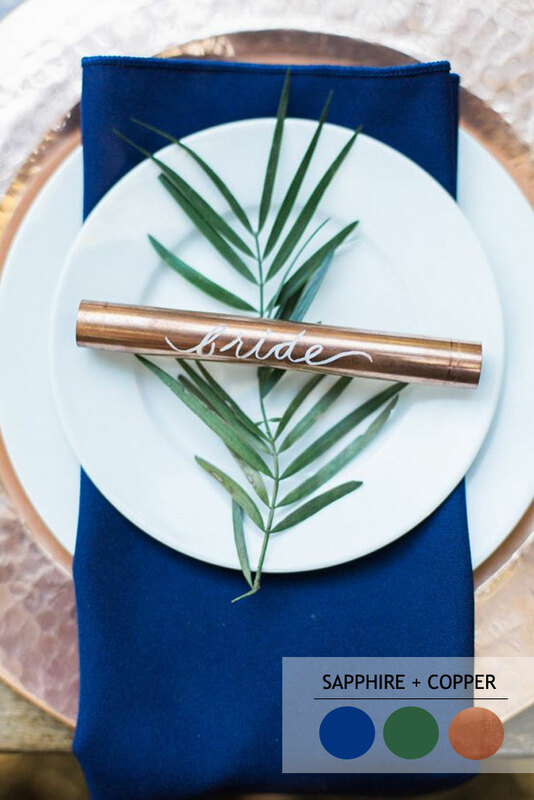 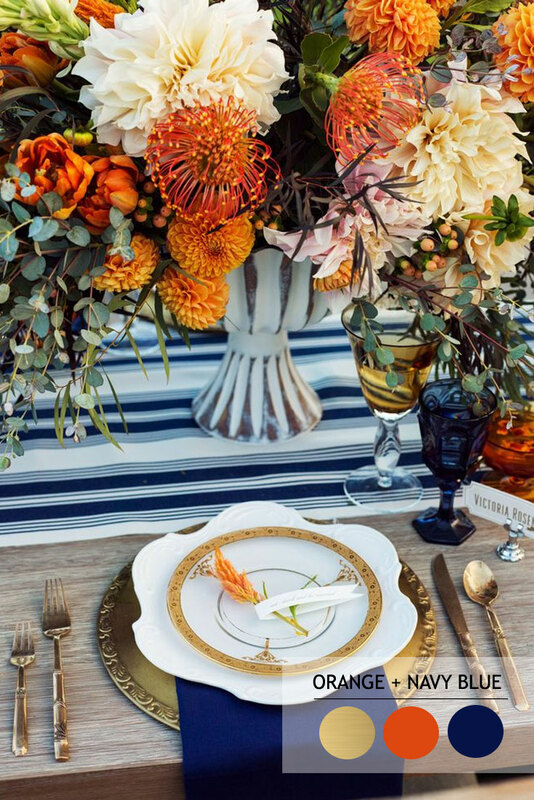 Try setting wedding table with gold, copper, and bronze like this image from lovely Jen & Chris Creed via stylemepretty. 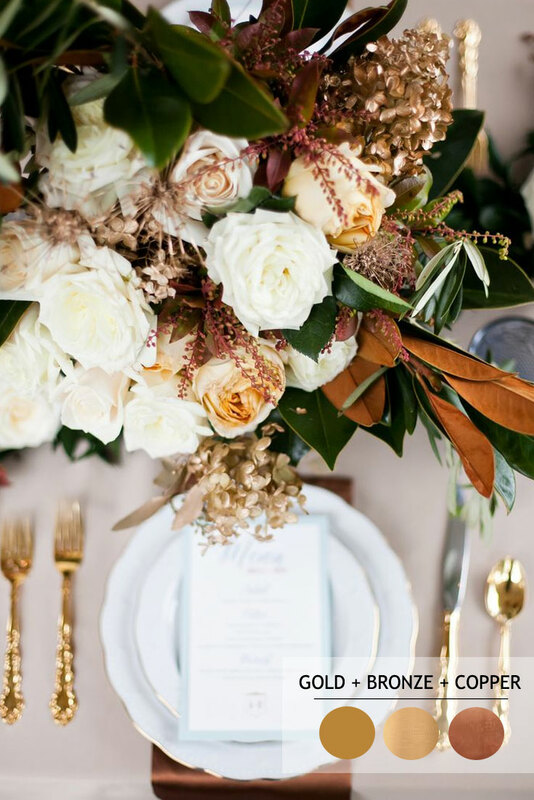 You could use gold copper and bronze accent colurs to add depth and cozy to your primary hue. 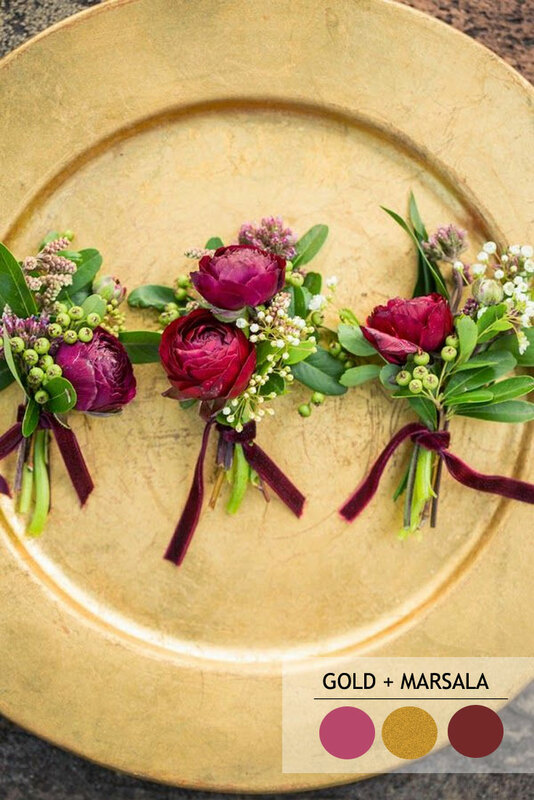 The metallic colours are very easy to combine with other fall colors, and you can use them to make anything feel more sumptuous. 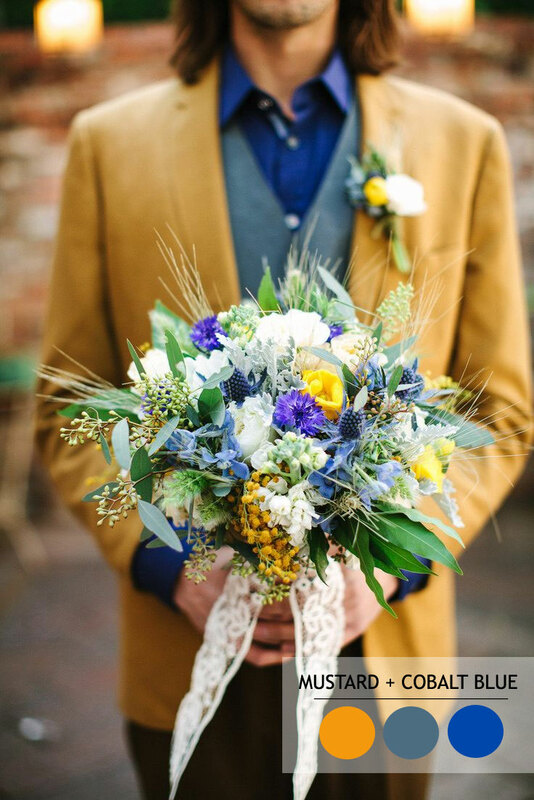 Mustard is an excellent colour for a fall wedding, as is its cousin, yellow. 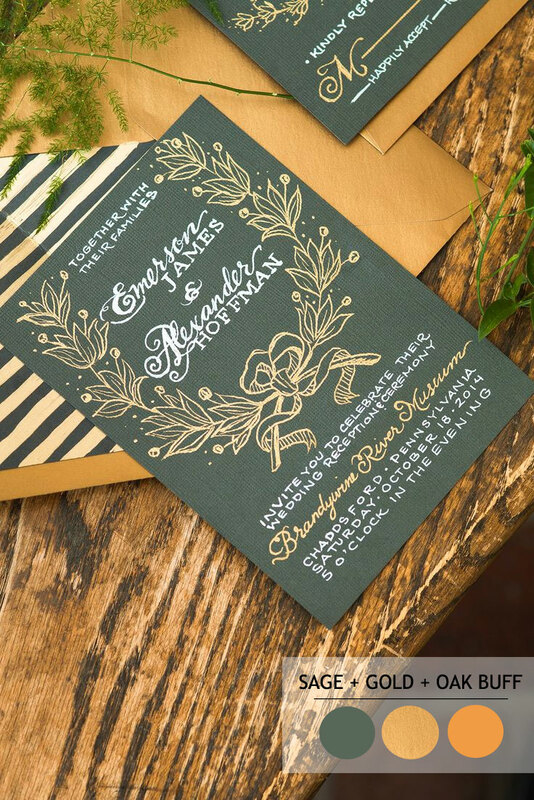 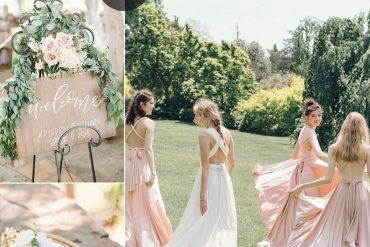 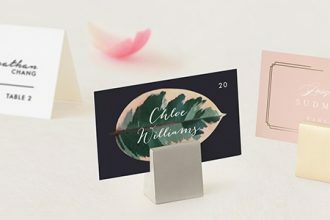 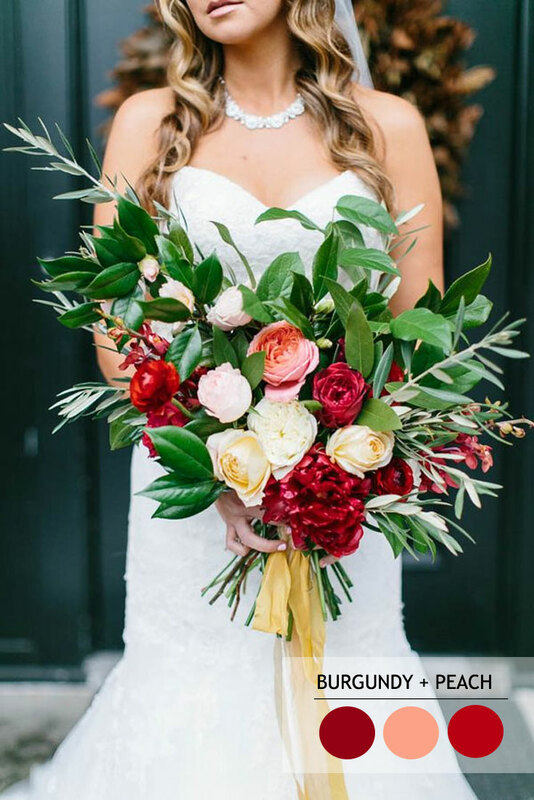 The rich warm colours are ideal for an upscale autumn wedding and pair beautifully with any number of other colors like forest green and orange. 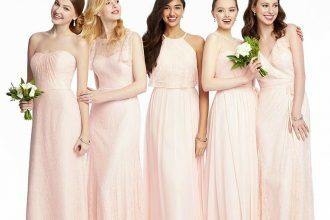 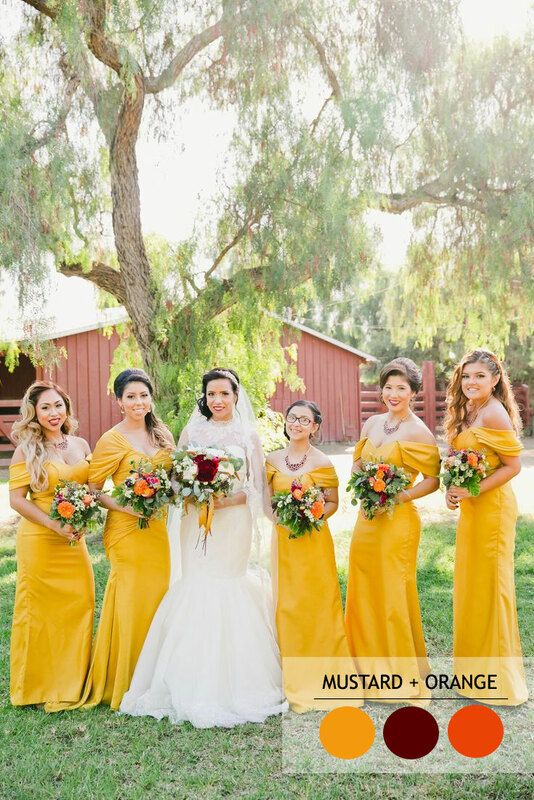 Bridesmaids in mustard captured by onelove-photo from orange-themed wedding. 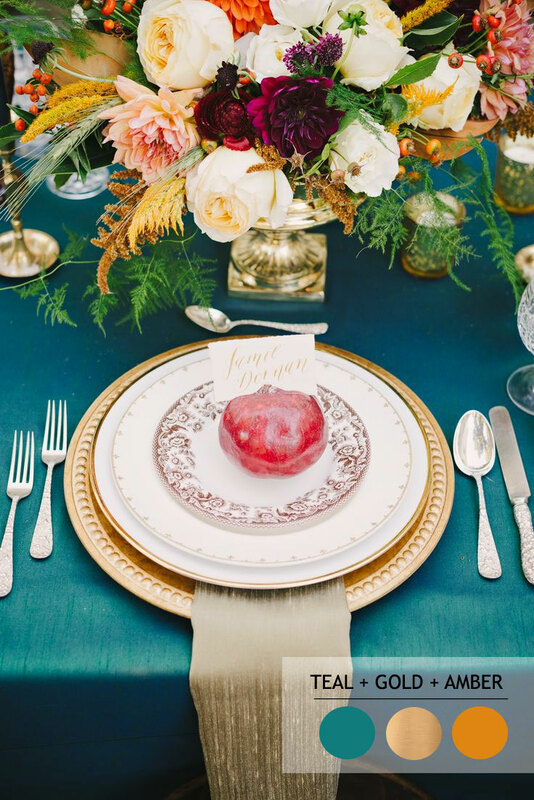 Another palette that are terrific for fall include teal +gold + burgundy, cream and amber. 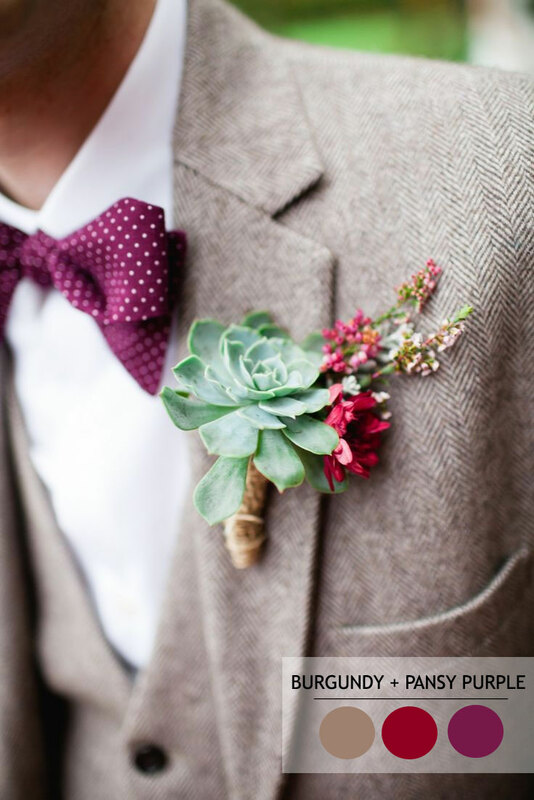 There is no need at all to feel that you must be loyal to the traditional fall colors. 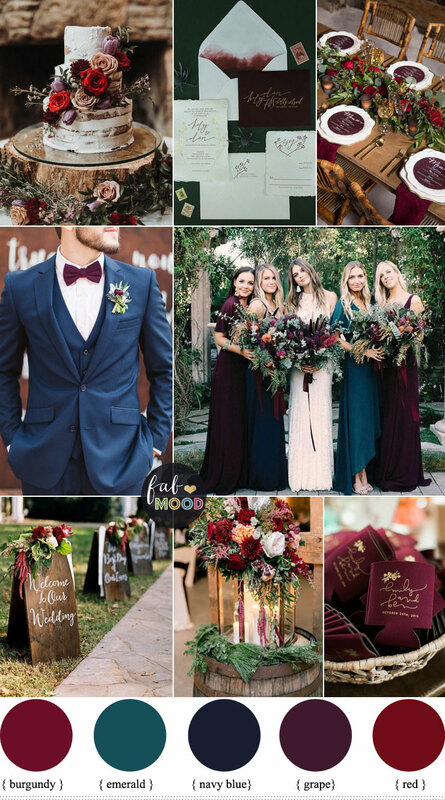 When you are having an elegant fall autumn wedding, the perfect colour palette will be essential in making your vision come to life. 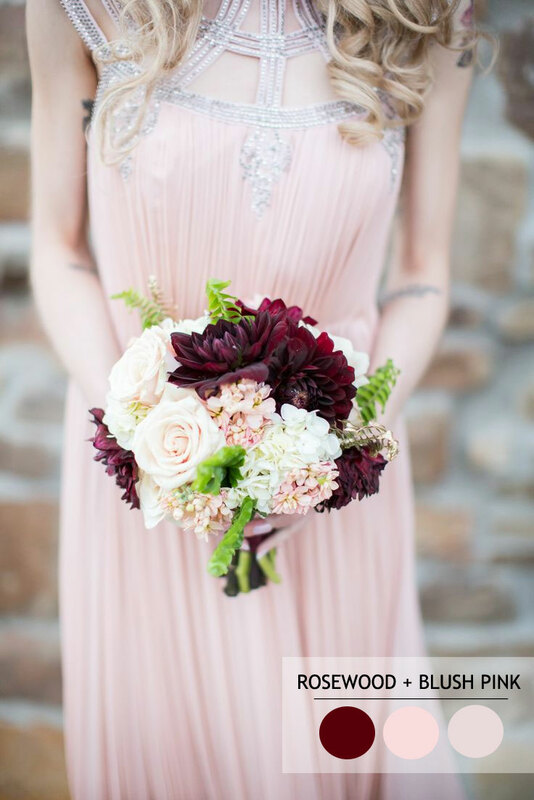 Bold colour wine-toned hues ” Marsala ” ( Top 10 Fall Pantone 2015 pairs with gold for good measure, this marsala boutonnieres captured by Shelley Elena Photography is dripping with gorgeous.